Geneva: Mr. Knox first off I would like to say it's my honor to interview you. How are you doing today? Carlos Knox: I am doing well and yourself? Thanks for taking the time for this interview. Geneva : I'm doing fantastic and it's my honor. 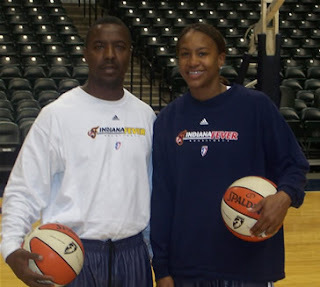 Mr. Knox you specialize in the training of athletes for the WNBA and NBA. What do you think are the most important fundamentals every athlete should learn? Carlos Knox: Most important as an athlete you must be in GREAT condition, from the jump we instill this in all athletes. We then use their excellent conditioning to build upon. Geneva: You have experienced many sides of the court from player to coach now trainer, what has been your most difficult lessons you have learned throughout your career? Carlos Knox: As a coach, the most difficult lesson is making sure you don’t put all your time and effort into something that does not benefit your athletes. It is all about keeping them ready to practice and play at all times. If you put large amounts of time into something that turns out to be a failure it is very disappointing. Geneva: The Indy Pro Am Basketball League how did that get started and what is the vision for the future? Carlos Knox: Getting started I trained a number of the players individually and the guys wanted some 5-on-5 runs to get in game shape, so I put together some games and brought in professional referees. From there it just grew and began to take off. My vision for the Indy Pro-A, overall is to get to the point where we have a larger percentage of NBA players and top draft pick college players. We are currently NBA sanctioned and I am hoping to partner with the NBA in some capacity to grow this into a working relationship where they have an involvement. Geneva: What are your predictions for this upcoming season teams, with the draft of new players and new champions, and lockout talk where do you think the NBA is headed? Carlos Knox: With the lockout situation aside, I think this years draft picks are good for the league, while the league is heading in a great direction, more importantly Indiana is producing some great athletes who will have a huge impact on the league for years to come. Geneva: What are the advantages verse disadvantages for athletes that choose to take the Pro Am Basketball League training verse those who choose not to? 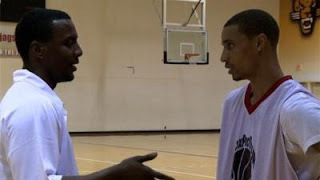 Carlos Knox: The players that are participating in the Indy Pro Am Summer League are afforded the opportunity to stay active and stay in tip top shape, this allows them to play against other players who are of the same caliber. Many guys are in local gyms, but not playing players who are on the same level. The disadvantages are not being able to get yourself truly prepared for the upcoming season, a lot of guys are benefiting from it and if you are not playing then you are being left out. If you are in the area it is the best thing going! Geneva: Based off all your years of expertise what is the greatest piece of advice you can give, that maybe you wish was given to you years ago? Carlos Knox: For the younger athletes it is the educational piece just making sure you get that, it is so important! As for athletics first you must find what you are good at then focus on making that better. Then also as important is find your deficiencies and constantly work on those. "You are only as good as your weakness." 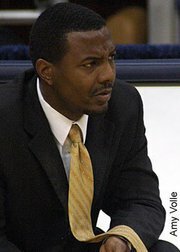 Geneva : Thanks again Mr.Knox your truly an inspiration to many on and off the court. Is there anything you would like to add before we go or anything about the Pro Am Basketball League you would like to add? Carlos Knox: First of all thanks so much Geneva for this interview. 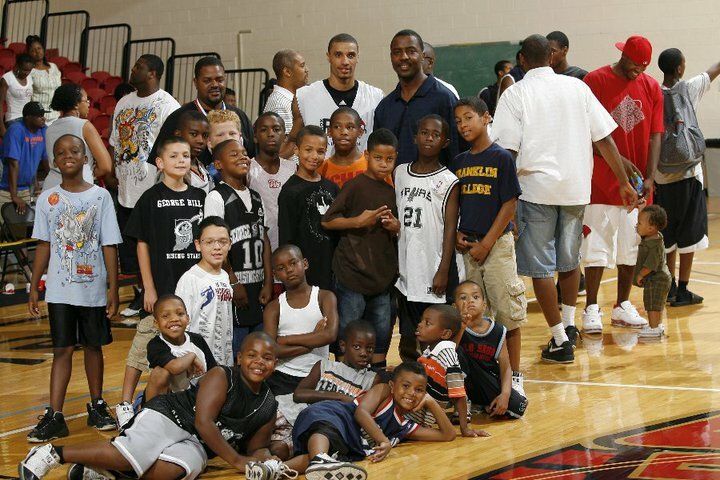 The Indy Pro Am Summer League is going in the direction we want it to go in, I just want to truly thank everyone that is involved in the league without you it would not be possible. Also, we do have a few sponsorship options still available.